Roy & Kate Melville welcome you to Creag Dubh. 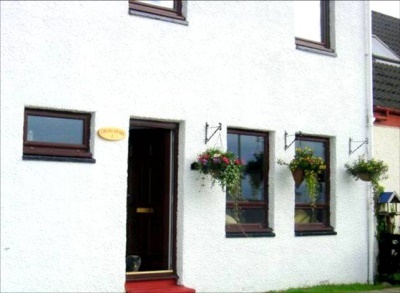 We are located in the tiny hamlet of Erbusaig which is just over a mile from the Kyle of Lochalsh, and less than two miles from the Skye Bridge. Our rooms have magnificent sea views overlooking the Isle of Skye, Rasaay and a number of small islands called the black Isles. We are open all year round.